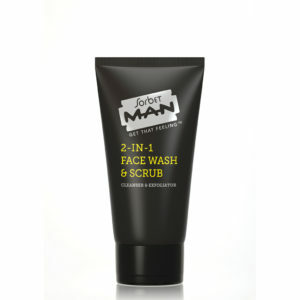 Buy ANY 3 Sorbet Man Products and get the cheapest one Free! He looks stupefied by your beauty routine. He even teases you – okay, flirts with you (it’s quite charming, actually) – that you don’t need “all that stuff” because you’re beautiful just as you are… Or there are other times when he moans at you for taking so long simply to wash your face or remove your make-up – especially when he’s eager to turn off the bedroom light, or the latest episode of The Bachelor (his secret obsession) is about to start. But heaven-forbid if he ever found out how much all your beloved beauty products cost! Especially if you’ve bought it using your “shared” credit card… But WAIT….Sorbet Man has come to the rescue and introduced the ultimate grooming range for Men! Brand-new products and prices to keep that special man in your life feeling fresh and well groomed. 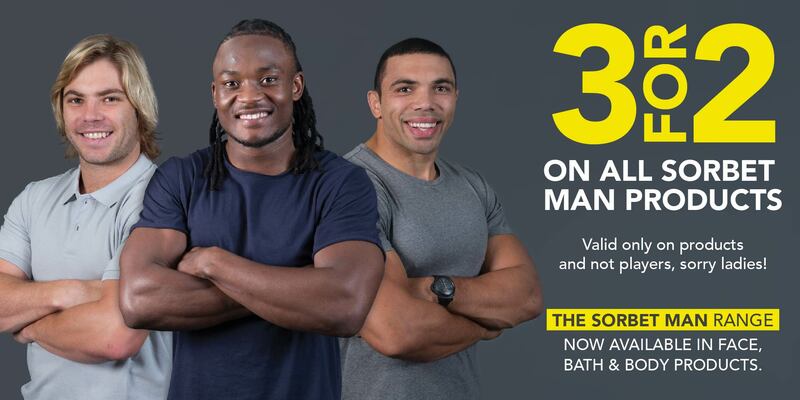 Until the 31st of October you will be able to purchase ANY 3 Sorbet Man Products and get the cheapest one free! Pick up his favourite tube or tub from our new collection of Sorbet Man Face & Body products and he will never dare set foot in your beauty cupboard again! The ultimate DIY improvement tool – for His face. 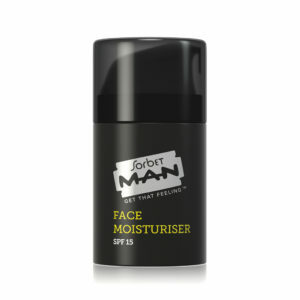 Formulated with cell replenishing ingredients, Sorbet Man Face Moisturiser softens and hydrates skin while reducing the appearance of age lines. Complete with the added ammo of SPF 15, it’s also for the wise guy who knows his limits when it comes to harmful sun damage, and preventing early signs of aging. SORBET MAN HYDRO COOL BODY LOTION R40 -This one you’ll get for FREE! Available at ALL Sorbet Man Stores, Sorbet Salons and Clicks Stores nationwide. Visit the Sorbet man website for the Full range of products available and pricing, click here. Ts and Cs Apply – Sorbet has the rights to end this promotion at anytime! This special excludes any current specials, discount vouchers and facial combos, promotion ends 30 October 2016!